Council 10579 serving St. Peter the Apostle and St. Michael’s parishes in Savannah, GA. Contact Info: Email: gkislands@gmail.com. The Islands Council is very active in the parish and community. Members serve as ushers at all Masses the first Sunday of every month. During Lent each year, the council holds two Lenten Fish Fry Dinners in the parish center. From September through May, they prepare breakfast after the 7:30 am AND 9:00 am Masses on the second Sunday of the month. In Winter, they sponsor a free-throw contest for our youth. Recently, they’ve supported the Fresh Air Home on Tybee Island with painting and other repairs. NEW IN 2015, the Knights introduce, 5th Sunday Rosary Prayer Service, following 9:00 a.m. Mass. Check your bulletin for details. NEW IN 2016, the Knights pray the Rosary every First Saturday at 8:00 a.m. in the church. Everyone is invited to join the Knights and their families to pray for world peace and the family. The council business meeting is the first Wednesday of each month at 7:30 PM in St. Peter’s Multipurpose Room. 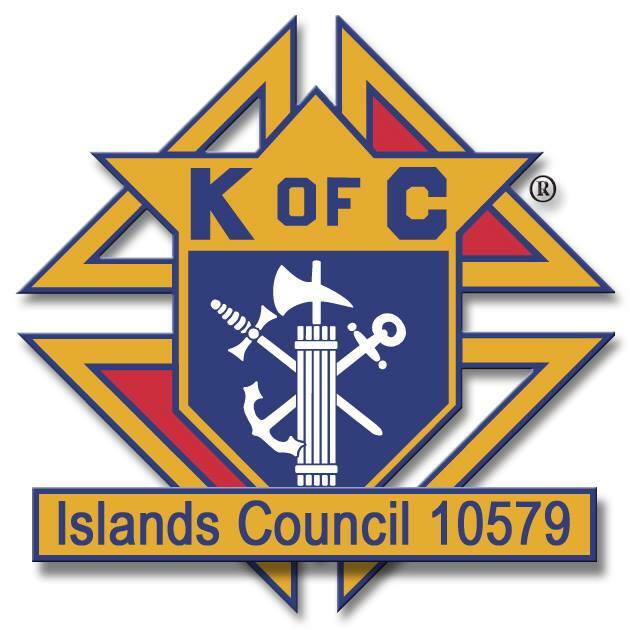 Island’s Council won the State Convention Youth Award in 2015. SECOND SUNDAY BREAKFAST: Thank you for your patronage of this event. Please join us for breakfast on Second Sunday of each month from September through May after the 7:30 am AND 9:00 am Masses. Come enjoy good food and fellowship. See you there! The line is out the door for the Islands Council Breakfast! Islands Council wins the 2011 International Family Activity Award for collecting donations of baby and child care supplies for a U.S. military clinic serving civilians in Afghanistan. See WTOC’s story and the Knights of Columbus article for more information. And special thanks to all the parishioners for their generous donations, without which this award would not have been possible.